Locally owned and operated out of Bailey. We service Park, Jefferson and Clear Creek counties. Including: Grant, Bailey, Pine, Conifer, Morrison, Evergreen, Golden, Genesee, Idaho Springs, Dumont, Empire, Georgetown and Silver Plume. We provide 24/7 emergency services, weekends all with reasonable rates. We accept cash, check and most credit cards. Last edited by searchseptic on Oct 2, 2017 7:39 am, edited 3 times in total. I highly recommend Search Septic. We just had them come and pump our system today. Scott is highly professional and showed up promptly. Thank you again Scott for your great service!! Happy to read there is another option in the area for these services. Attitudes are contagious. Is your's worth catching? Yup, reasonable prices too! We are hoping to schedule them next week. I had Search Septic come out earlier this week. Very professional and actually show up unlike one of their competitors. Called Scott for info. Great help. Thanks Scott. They were out yesterday, and did a great job! Scott is very conscientious! A great local family business. they do it the way it should be done. Search Septic did my system today. Scott does and awesome job and educated me on what I can do myself to keep my system working at its best. Great job. Highly recommend. 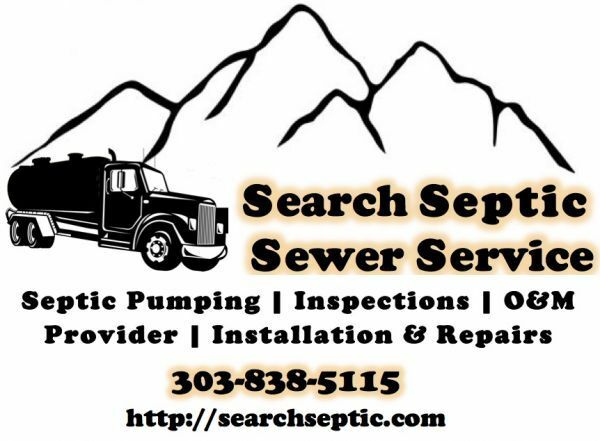 First, a BIG thank you to Scott Search @ Search Septic! TY for all your patient, kind support of my family and I with getting our septic inspected, pumped and properly extended / configured! Secondly, I want to whole-heartedly endorse Search Septic. From end-to-end, Scott and team went out of their way to accommodate our time constraints and patiently deal with each of the challenges we faced. Not only that, he did his very best to help our fiscal constraints while giving us the best possible options and service. Also, I sincerely appreciated his committment to quality, something that permeated all of his work. In the end, we ended up with the best possible solution at the most reasonable price. Thank you, guys!! "Come to me, all who labor and are heavy laden, and I will give you rest. Had Scott out yesterday to pump our tanks. Good, knowledgeable guy with good rates. I would give him a thumbs up as well..